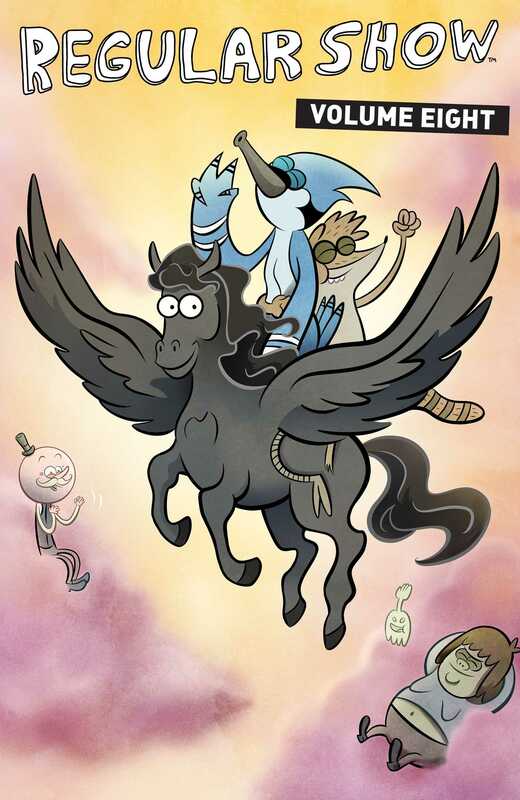 When a renewable-energy scheme goes wrong, Mordecai, Rigby, Skips, and Benson are sent on a wild adventure above the clouds! Mordecai and Rigby just wanted to offset their video game electricity bill with some nice renewable energy . . . but when their turbine goes rogue, they’re flown to a crystal palace above the clouds, and the ruler is not exactly hospitable. Even with the help of Benson, Skips, and Gary, will the guys ever make it home, or will they be stuck in the Crystal Coliseum forever? Get ready for some crystal combat in Regular Show, written by Mad Rupert (Regular Show: Skips) and illustrated by Laura Howell (Angry Birds, Uncle Grandpa). Collects issues 29-32.